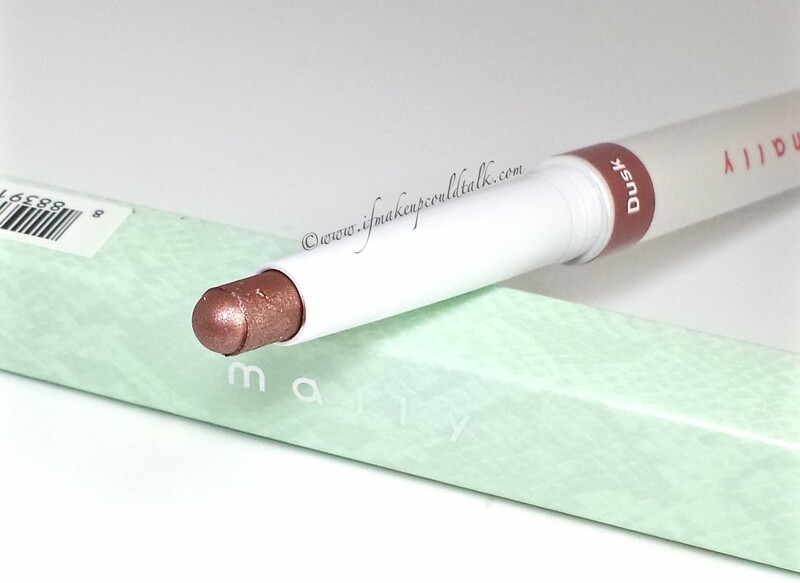 Mally Beauty Dusk Evercolor Shadow Stick review and photos. Winter time has steadily become one of my most dreaded seasons of the year. You may have noticed a brief blogging hiatus on my part–this was not due to boredom or laziness. No my friends, I was and currently still battling a nasty chest cold and runny nose. Even though my heart yearned to use my beloved products, my incessant coughing made for the ultimate buzz kill. The silver lining during all this, was time to research (AKA: order) some goodies I have been eyeing for a while. 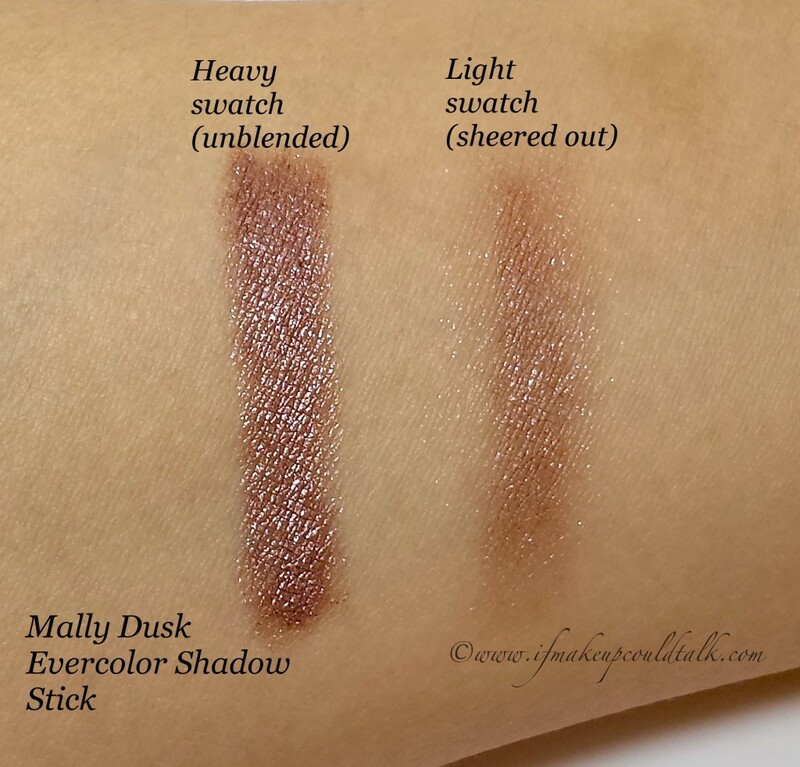 Mally Beauty Dusk Evercolor Shadow Stick ($25 USD/ 1.6 g) luckily provided me with a glimmer of happiness I needed to lift my spirits (and look). I hope you enjoy! My addiction to shadow sticks (from a variety of brands) is well documented throughout this blog. The ease of use and amazing wear time keep me constantly going back for more colors. Seriously, if one needs a product that will wear beautifully throughout the day into night, look no further than a shadow stick. 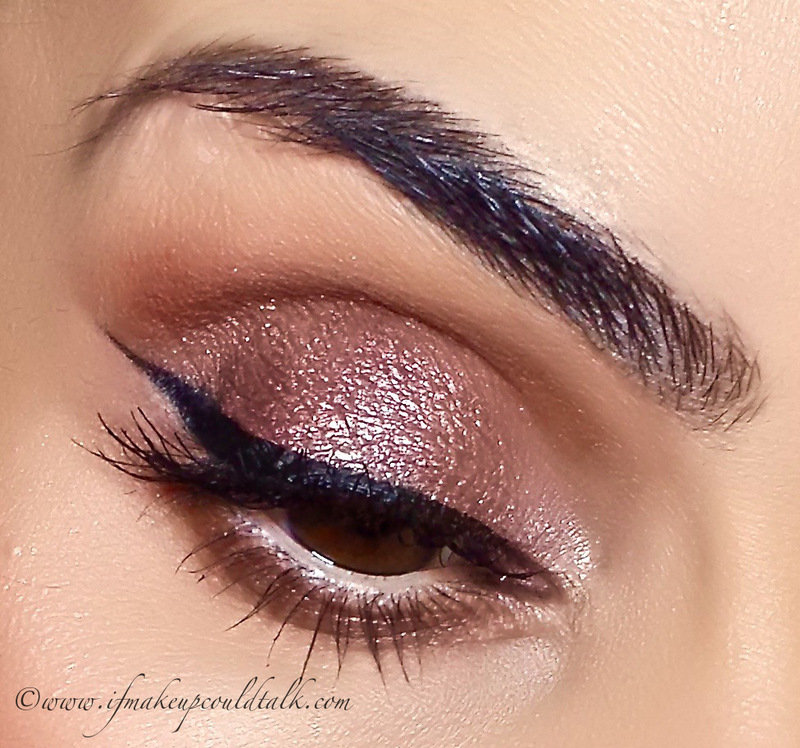 Dusk is a composed of a complex combination of brown, pink, and copper mixed with delicate silver shimmer. The warm and cool aspect inherent in this shade makes for an attractive contrast against all eye colors. Personally, I found this shade quite more versatile than expected. On days when I just want to liven up some matte shadows, I simply apply a small amount on my ring finger and pat the color on the shadow. The effect is quite subtle, yet the silver shimmers definitely brings a certain radiance to the look. As an added bonus, shimmer fallout is non-existent with this method/formula. Wearing Dusk full-on (see full face photo below) gives a beautiful gleaming look to the eye without appearing overdone. Truthfully speaking, I did find Dusk to apply with a bit of drag, thus requiring a synthetic brush, or fingers to properly smooth out the color. This was by no means a difficult task, but be forewarned a little extra effort is needed for this shade. I suspect, the fair amount of shimmer in the formula could very well be the culprit for such resistance. For the above photo, two coats of Dusk were applied to the mobile lid and evened out with a synthetic concealer brush. MUFE M-600 mixed with MAC Uninterrupted was applied above my socket bone and lower lash line, with MUFE M-510 used to highlight the brow bone. Laura Mercier Highlight 01 was used in the inner corner with Guerlain Black Liquid Liner and Maybelline Lash Sensational Mascara (reviewed here) to finish off the look. One can almost describe Dusk as having a mauve-like undertone, which in turn, pairs so well with a variety of copper shades. 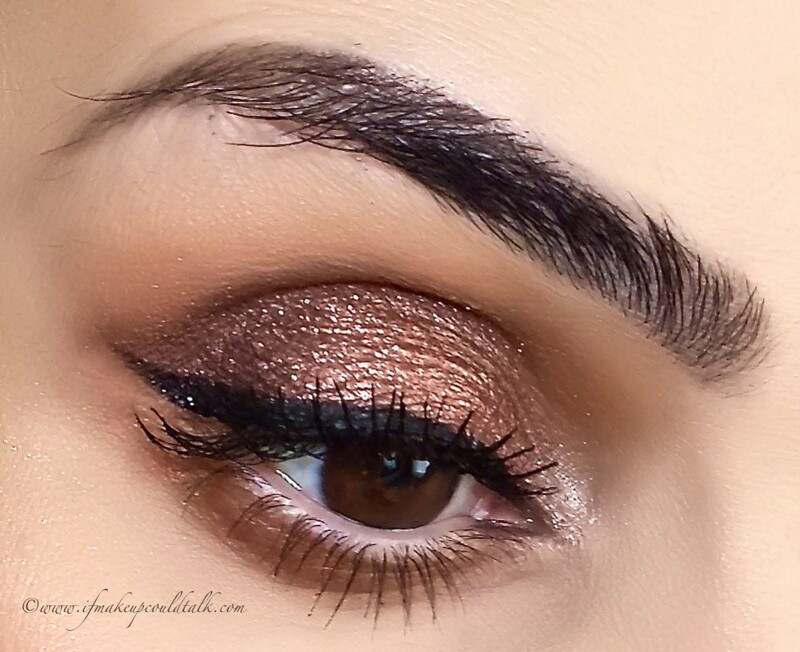 For the above photo, Dusk was applied to the mobile lid and topped with the shimmery copper shade found in Tom Ford Cognac Shade Quad. 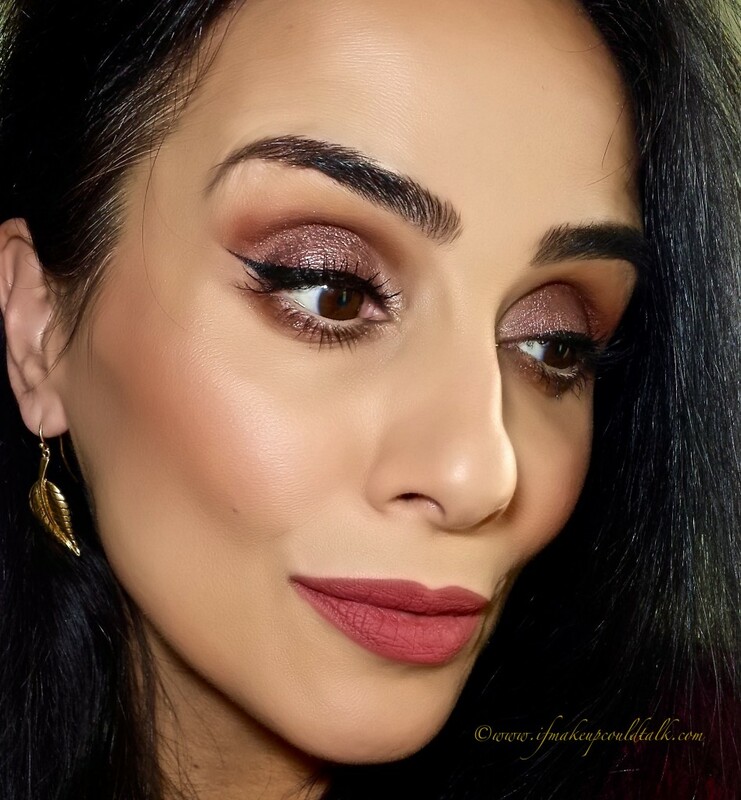 MAC Copper Reflects Pigment, Laura Mercier Blazing Sun Eye Glace (reviewed here), or even a bit Mally Topaz Evercolor Shadow Stick (reviewed here) will make for acceptable substitutes. The above look lasted 11 hours, with three of those hours spent in a humid pool environment. Makeup would tell you unequivocally, Mally Beauty Dusk Evercolor Shadow Stick is one of the best eyeshadow colors/formula on the market. The long-lasting aspect, gorgeous universal color, convenient application, youthful finish and versatile use makes this one of my most treasured shade sticks in my collection. Will I be getting more colors? You bet your sweet bippy. 🙂 Until next time, be well, stay safe and be happy.